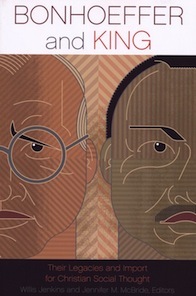 Dietrich Bonhoeffer and Martin Luther King Jr.— these giants of recent Christian social thought are here reassessed for a new context and a new generation. Both combined activism, ministry and theology. Both took on public roles in opposition to prevailing powers of their respective causes. Here, many of the leaders in Christian social thought revisit the insights, causes and strategies that Bonhoeffer and King employed for a new generation and its concerns: race, reconciliation, nonviolence, political violence, Christian theological identity and ministry. Dietrich Bonhoeffer, Martin Luther King, Jr.